Demographic trends have stimulated interest in empirical research on subjective well-being among the elderly. Despite the steep increase in published articles, no one has yet provided a summarized review of the scientific landscape. With this article, we aim to fill this research gap by providing a bibliometric analysis of the field. We do so by collecting a broad dataset of publication data from 1961 to 2016 found on the Web of Science webpage. 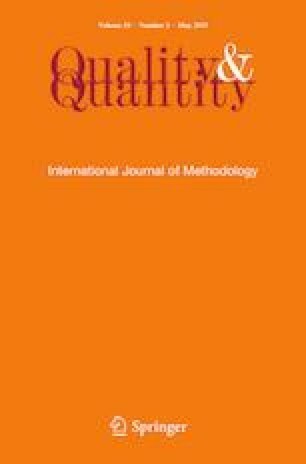 By combining quantitative scientometric methods, as well as qualitative methods, we were able to provide a historic context of research on subjective well-being among the elderly and distinguish the most important articles, authors, journals, organizations and countries in the field. We found a big leap in research on subjective well-being among the elderly in the last 10 years, as well as a substantial globalization of the field. Although research on subjective well-being among the elderly has clear antecedents, we expect the field to further increase and mature due to more scholars from different braches of science joining the conversation.